Visual Micro is a plugin for Microsoft Visual Studio 2008 through 2012 that allows us to develop for Arduino boards. 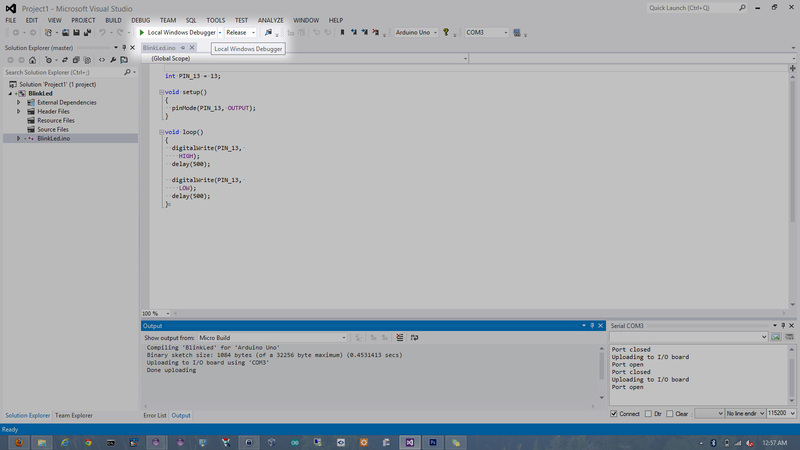 Although the Arduino IDE works, it lacks functionality that a polished IDE delivers such as code completion or formatting. 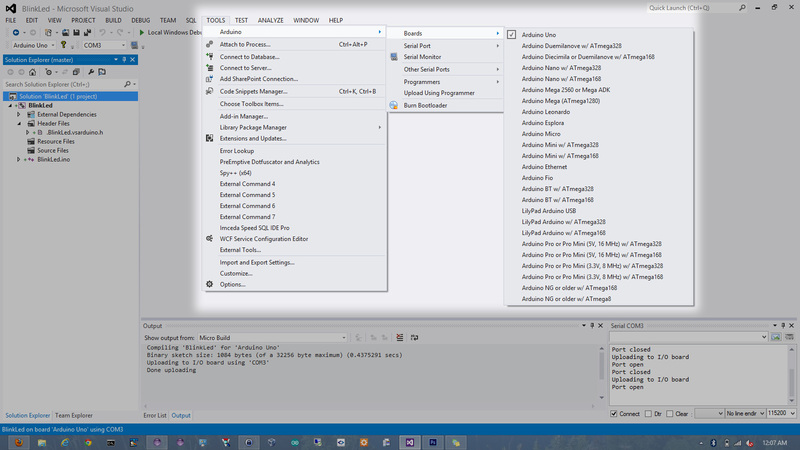 For students, the Visual Studio 2012 IDE is available as a free download through the DreamSpark website. 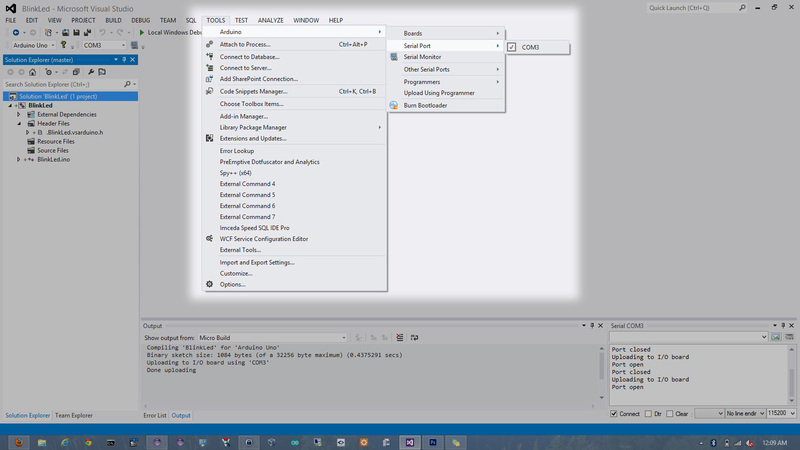 Currently the Visual Micro installation offers the basic installation overview for version 2008 to 2012, but if a developer is not familiar with Visual Studio, the installation instructions may be a bit confusing at first glance. In my current setup, I use an Arduino Uno revision 3 board with a USB cable to communicate with the board. Under Tools > Options dialog, click on the “View all settings” on the bottom left hand side to show the Visual Micro settings. 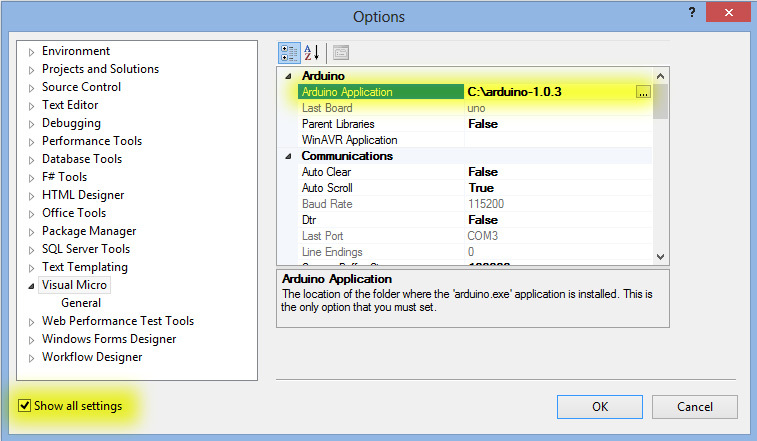 Then fill in the Arduino installation path under the Arduino Application option. When using an USB cable or serial cable to program the Arduino board, the programmer option needs to be disabled. 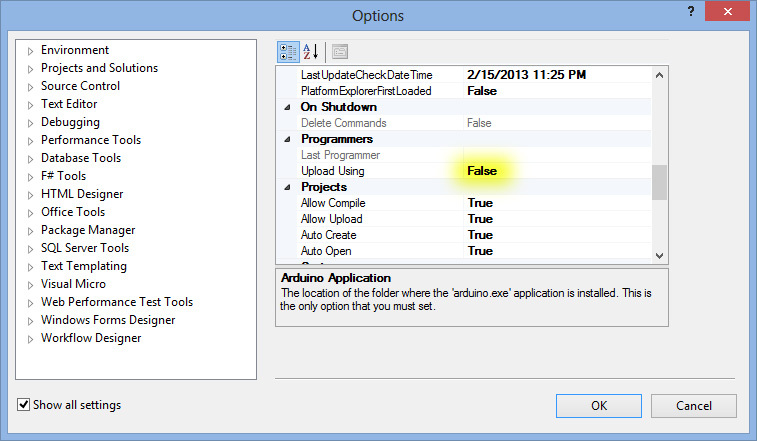 Under the Tools > Options > Visual Micro, set the “uploading using” to false. Ensure the correct board is selected. Ensure that the correct serial port is selected. There are two ways to run the project, either pressing F5 or clicking on the green arrow. To the extent of my knowledge, the debug/release builds are identical for the Arduino. In order to test the USB connection, I uploaded the blink led tutorial to the Arduino. 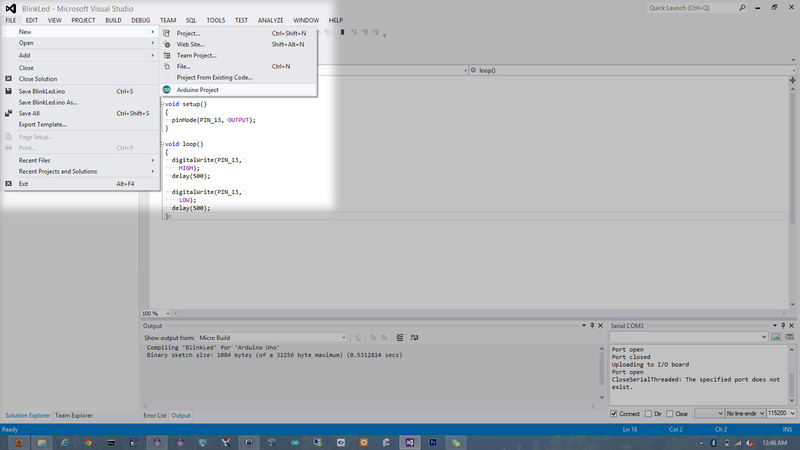 Developing in Visual Studio 2012 seems to work well with the Arduino. With my experience developing Java in Eclipse, I expect more documentation on the various functions. But I believe this may be due to the library not having any comments on its functions as to the first party Arduino IDE does not show the comments on function inspection.